I went in for lingual braces and was told when I got there that they do not provide that service eventhough it said on Zocdoc that they do. They also told me that my insurance was not going to cover any of the types of braces and went forth to explain how much each one costed and how i could make monthly payments if i could not afford it. They did not realize that the overall treatment was costly regardless if you broke down the payments. They were not sypathetic at all and definitely not helpful. They just wanted money and that's it. Total waste of time! Very disappointed! I went in for lingual braces and was told when I got there that they do not provide that service even though it said on Zocdoc that they do. They alsotold me that my insurance was not going to cover any of the types of braces and went forth to explain how much each one costed and how i could make monthly payments if i could not afford it. They did not realize that the overall treatment was costly regardless if you broke down the payments. They were not sypathetic at all and definitely not helpful. They just wanted money and that's it. Total waste of time! Very disappointed! They were nice and the office was clean, open late. My technician was great but my orthodontist seemed kind of cold.Also their office manager/receptionist was pushy sales wise. They were nice but had I have more time I would have gone elsewhere to shop around. Perhaps it was late in the day, and the environment was off but I want to go to an orthodontist for my teeth health. Not retail. I understand everything is a business but some tact goes a long way. They were nice and the office was clean, open late. My technician was great but my orthodontist seemed kind of cold. Also their office manager/receptionist was pushy sales wise. Theywere nice but had I have more time I would have gone elsewhere to shop around. Perhaps it was late in the day, and the environment was off but I want to go to an orthodontist for my teeth health. Not retail. I understand everything is a business but some tact goes a long way. Dr. John Castronova was born and raised in Nutley, NJ. He attended Haverford College in Haverford, Pennsylvania where he earned a Bachelors of Arts in 2007. He later became a dentist in 2011 earning his Doctorate of Dental Medicine degree from the University of Medicine and Dentistry of New Jersey. Upon graduation he was inducted into the OKU National Dental Honor Society (Omega Omega Chapter). He then went on to complete a three-year residency, to earn a certificate in orthodontics, at Montefiore Medical Center in Bronx, New York. 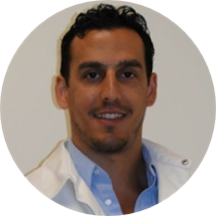 Dr. Castronova is committed to learning and enjoys getting to know all the patients of the practice. In his free time he enjoys reading, watching sports, and staying active. Very good service provided for my three children who all got their braces fitted within an hour. Office staff were extremely attentive and helpful. Lots of information provided up front. amazing doctor very nice and knows how to talk to patience. Nice people, made me wait an hour though. I saw a different DMD but the lady was friendly and professional! The best Orthodontist that I have ever been too. Everyone in the office is helpful and the office is clean and organized too ! I was so happy and confident in my visit . This is now my new Orthodontist. He was pretty nice I waited for about an hour but other than that the staffs were friendly & the place was clean minus the neighborhood. I loved Dr Castronova, however his staff at the front desk was extremely rude and sassy. Probably will not return. I don't see the value of an orthodontist office that is only open in my neighborhood one day a week. Beside the long wait I was satisfied with the service.